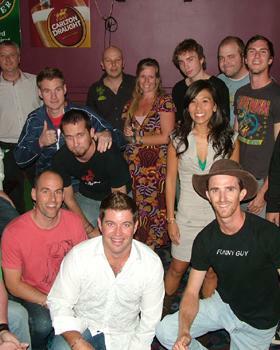 Around Brisbane you will find a bunch of new comedians who are still finding their feet in the world of comedy. They regularly perform at the Open Mic Rooms around Brisbane as well as popping in to say hello at some of our professional rooms. So if you are lucky enough to spot one of these guys at a gig, give them a whole lotta affection! These guys do it for the love, not the money (only because they don't get paid! ).